There’s a common thread to the movies of Ben Wheatley, the director of indie gems like High-Rise, Kill List and Down Terrace. They’re aesthetically beautiful, yet narratively lacking, and they tend to overstay their welcome for a bit before they eventually conclude. Free Fire fits right into the Wheatley mold. 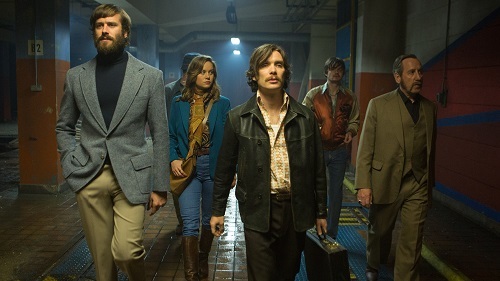 Set in nineteen-seventies Boston, Free Fire revolves around an arms deal-gone-bad. A mysterious American businesswoman named Justine (Brie Larson from Kong: Skull Island) sets up a meeting for a gruff Irishman named Chris (Cillian Murphy from “Peaky Blinders”) and his associates who want to buy some M16s for the IRA. Going through a suave intermediary named Ord (The Man from U.N.C.L.E.‘s Armie Hammer), they link up with a shady weapons dealer named Vernon (Chappie‘s Sharlto Copley) and his crew. One thing leads to another, tempers flare, and the simple sales transaction escalates into a full-blown shootout, with none of the parties involved knowing who they can or cannot trust anymore. Plot-wise, there’s not much to Free Fire. The screenplay, which Wheatley penned with his usual suspect co-writer Amy Jump, chooses spectacle over story, locking all of the characters in a single warehouse setting for the length of the movie and letting the events unfold in real time. And it’s fun…for a while. But, like all of Wheatley’s movies, the action gets old and stale before too long. 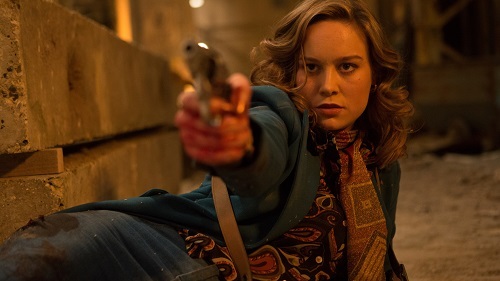 The difference is that instead of a two hour movie being about a half hour too long, Free Fire is only ninety minutes. And it still feels like it’s about a half hour too long. For his part, Wheatley crafts a technically sound movie, just as he always does. Free Fire looks and sounds great, and the attention to detail that Wheatley exhibits, especially with the blocking and mapping of the characters when they scatter and end up spread out all over the warehouse as the bullets are flying, is admirable. It stills gets confusing as to who’s shooting at who (at one point, one of the characters even yells out “I forgot whose side I’m on!”), but the spatial map of the set allows the audience to form a good mental picture of the goings-on, even as it changes and re-arranges over the course of the film. 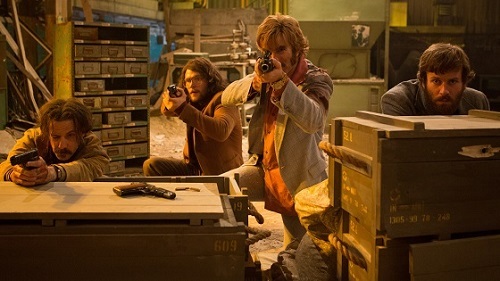 The moment where Free Fire loses steam comes when everyone is hunkered down and shooting, and the movie doesn’t really give itself anywhere to go from there. 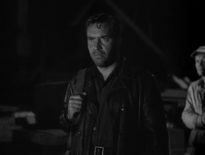 There are a couple of surprise twists and shocking revelations, but for the most part, the second half of the film is a whole lot of people shooting at each other. And, for being militants and arms dealers, these people are lousy marksmen. The hit ratio is way lower than it should be. For a black comedy popcorn movie, Free Fire works just fine. It’s good for some mindless entertainment. Or, at least, the first hour is. After that, all bets are off. After Portishead’s haunting cover of ABBA’s “SOS” stole the sonic show in High-Rise, Ben Wheatley decided to get the electronica group’s instrumentalist Geoff Barrow and his film scoring partner, Ben Salisbury (with whom Barrow composed the music to Ex Machina), to do the score for Free Fire. The music is used sparingly in the film, mostly amounting to keyboard and drum stuff that knows enough to stay out of the way of the action. It’s also groovy enough to keep reminding the audience that they’re watching a movie that’s set in the seventies. Speaking of the seventies, there are, of course, a handful of period pop songs in the film, including rocking ditties by The Real Kids and Creedence Clearwater Revival. Free Fire also includes the best use of a John Denver song this side of Final Destination. So, while there’s not exactly a ton of it, the music in Free Fire helps move the (however thin) story along and gives it an added boost of energy and impact.